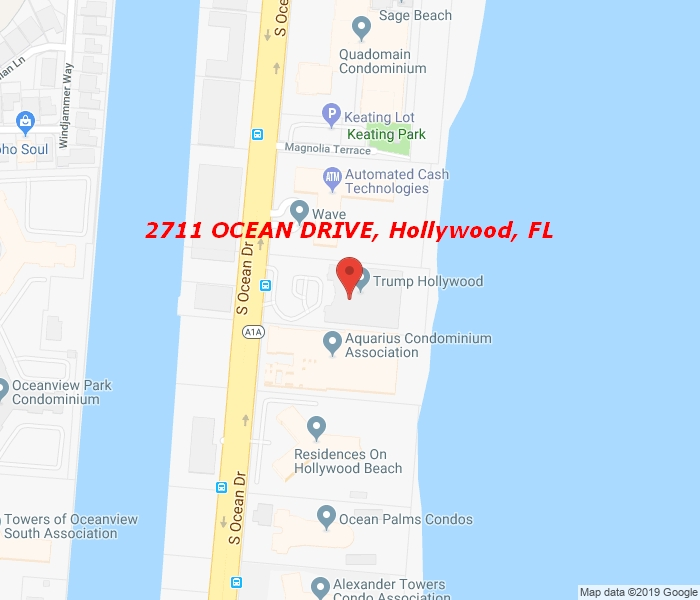 Gorgeous 3B/3.5B Unit at prestigious and desirable TRUMP HOLLYWOOD with Breathtaking and unobstructed views of the ocean and the intracoastal from the west balcony. Gourmet kitchen with italian modern cabinetry and top-of-the-line appliances. Five Start Amenities including pool, spa, tennis, gym, wine & cigar room, theater, breakfast room, 24 hours security among many others. Best Line in the building with views of the Ocean and the Intracoastal. *** MOTIVATED SELLER ….. PRICED TO SELL, Best in the building!